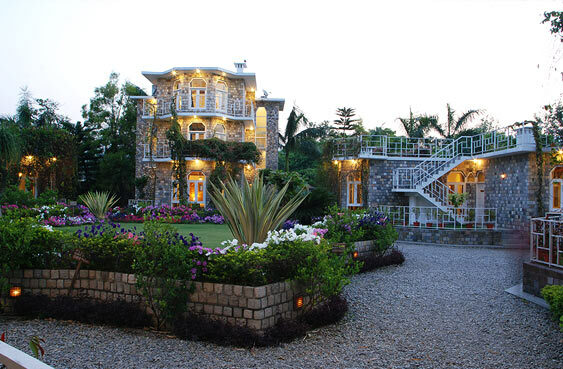 If you are looking to enjoy the bounties of the wild in its uber naturist form, the wild crest, Corbett is the perfect abode for the guests who wish to explore the wild jungles and adventurous safaris of the Jim Corbett National park. 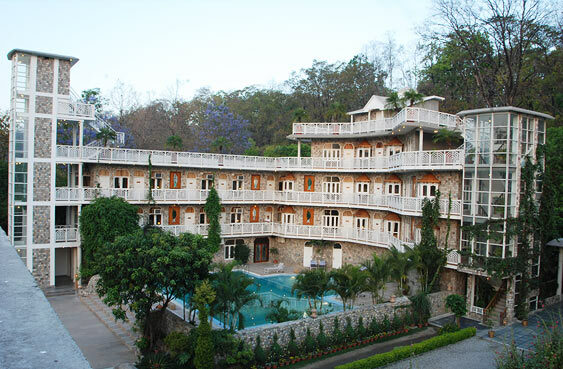 Situated just kilometers away from the main gate of the Jim Corbett National Park is the Wild Crest Hotel and Resort offering a safe stay to the guests who wish to stay in comfort amidst the jungles. 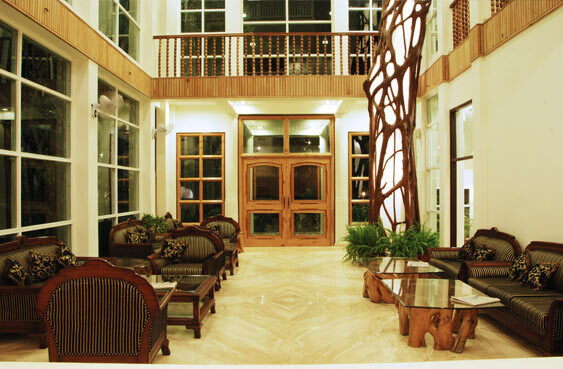 Offering a multitude of facilities like spa, swimming pool, gym, in-house restaurant, tennis and other recreational activities, the hotel also offers various safaris to the guests who wish to explore the wild jungles in safety. 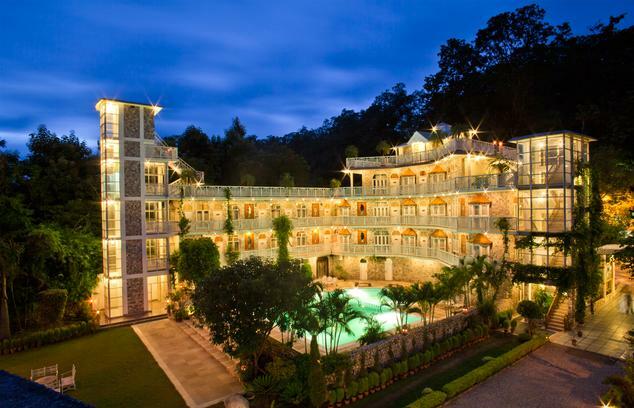 The top- class accommodations and rustic yet modern cottages provide a comfortable stay to the guests while the amazing scenery and picturesque view from the resort offers a pleasurable escape from the hustle- bustle of the city. 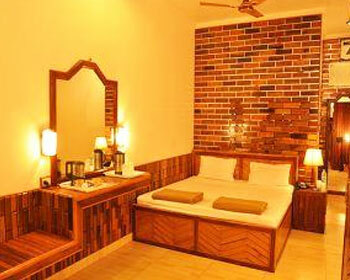 The nifty service provided by the hotel staff is unprecedented, leaving a great impression on the guests of the hotel. 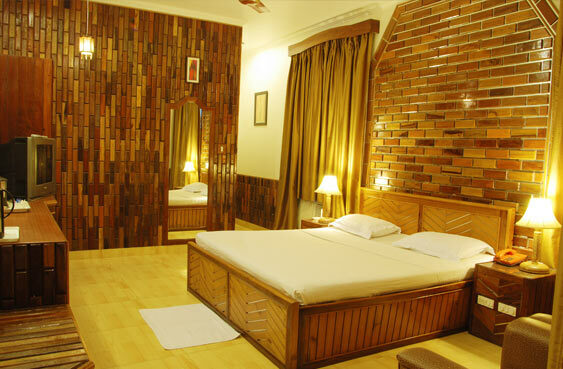 With twenty two air conditioned rooms distinctively categorized as Cuckoo( 1,2,3,4), Lark (1,2,3,4), Crane (1,2,3,4), Ostrich (1,2,3,4), Swan (1,2,3,4) and Eagle (1,2,3,4), the rooms are all decorated in a rustic style with stones from the Kosi river yet providing all the modern comforts of contemporary amenities. While the other rooms are single and large in layout, the Swan and Eagle cottages are suite style rooms offering six Suites. 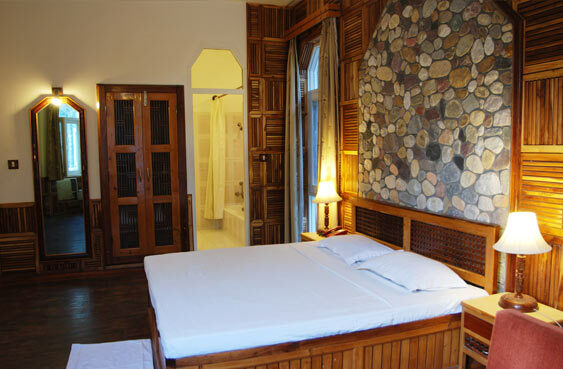 The decoration of all the rooms is done keeping in mind the rustic environment, giving a feel of nature with stones and wood yet the modern amenities in the rooms and suites provides for a comfortable and relaxing stay. The wooden floors and furniture add to the naturist theme of the decorations while the king sized beds with bedside telephone with direct dial service, seating arrangements with plush sofas, color television with satellite channels, safe deposit box and an attached bathroom with all the modern fittings, 24hrs of hot and cold running water and elemental toiletries makes for a comfortable stay. 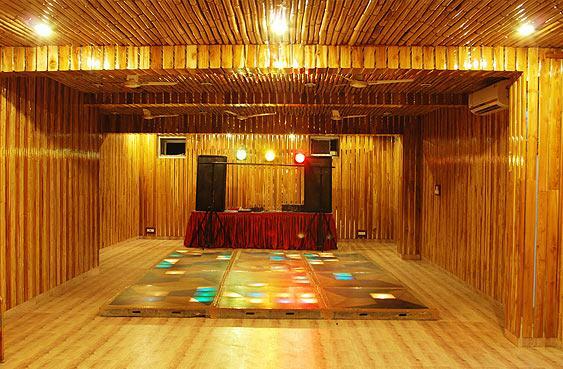 With thirty three rooms in this block, these Golden Palms rooms are all pool facing and provide an amazing balance between the rustic decorations and modern facilities. 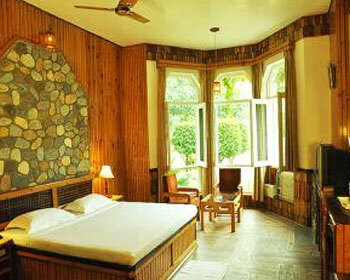 Decorated with the local mountain river stones of the Kosi, the rooms have wooden floors and furniture but with modern amenities like a king sized bed with bedside telephone with direct dial services, a color television with satellite channels, plush seating arrangements in the room itself, safe deposit box and an attached bathroom with modern fittings, 24 hrs of running hot and cold water and elemental toiletries, the stay of the guests is as comfortable and relaxing as possible. 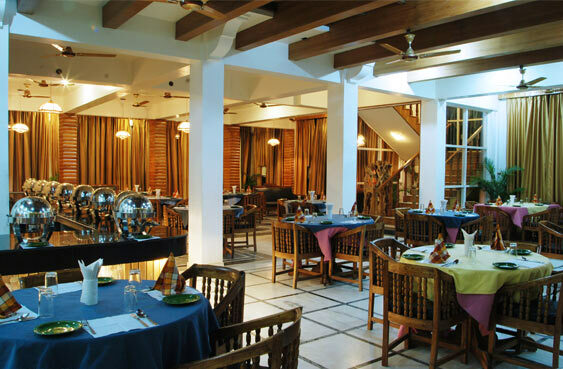 The in-house restaurant is situated in the main block of the resort providing easy access to the guests of the hotel. 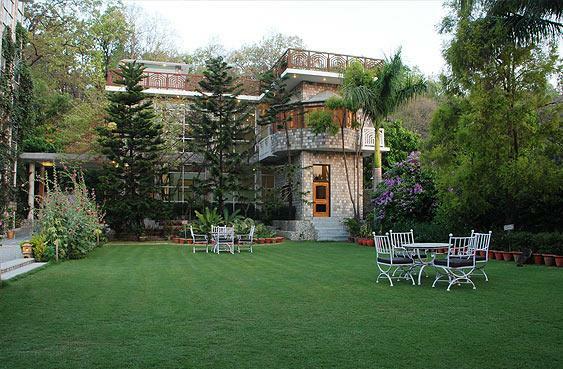 The restaurant is fully air conditioned with glazed walls that provide a picturesque look of the mountains, valleys and the landscaped gardens which adds to the dining experience of the guests in the restaurant. The scrumptious meals offered by the chefs at the restaurant are prepared painstakingly with the freshest produce available. The restaurant also offers bar-be-que snacks and drinks under a canopy in the garden for guests who wish to have their dinner enjoying the pleasant scenery and atmosphere. In winters, the restaurant offers a campfire with snacks and dinner under the open sky adding to the zeal of the guests for nature.